CNNC International Limited (together with its subsidiaries referred to as the "CNNC INT’L") was incorporated in the Cayman Islands with limited liability on 25th June, 2002, and its shares have been listed on The Stock Exchange of Hong Kong Limited since 6th January, 2003. 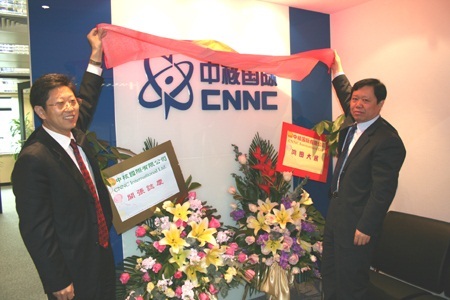 CNNC INT’L is a member of China National Nuclear Corporation ("CNNC"). As a state-owned corporation, CNNC is the only PRC enterprise covering a full range of nuclear-technology industries. 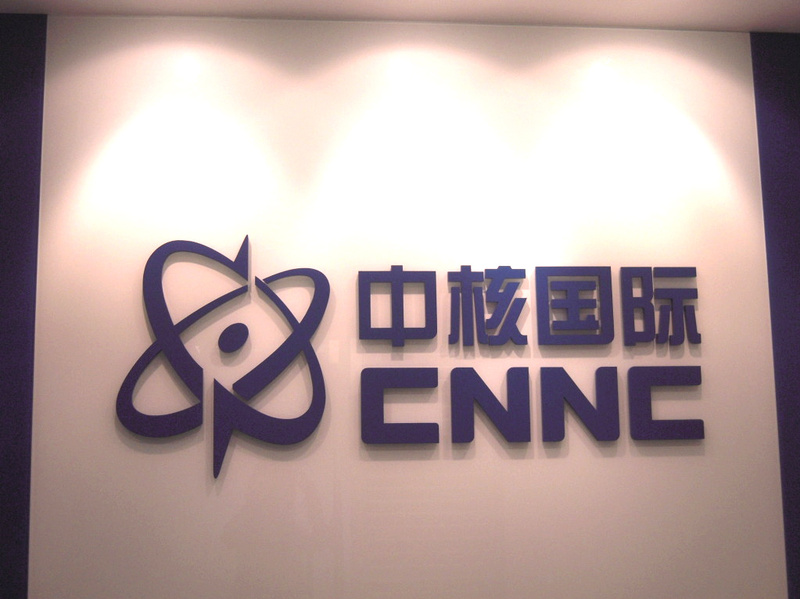 CNNC is a major investor of certain domestic nuclear power stations, as well as a primary participant in the design, construction and operation of nuclear power facilities, nuclear geological and mining metallurgical works, and the supply of nuclear fuel, nuclear technology applications and equipment in China. The immediate holding company of CNNCIntl is CNNC Overseas Uranium Holding Limited (“CNNC Overseas”) which is a wholly owned subsidiary of China Uranium Corporation Limited (“CUC”). CUC is an important member of CNNC, responsible for the overseas uranium resources development. As a form of clean energy, nuclear power has become the subject of focused development for the PRC Government. On the back of CNNC’s leadership and solid experience in the uranium leveraging business, CNNCIntl Group is actively expanding its overseas uranium leveraging business, engaging in uranium product trading and identifying related opportunities to answer the demand for uranium resources created by the development of nuclear power in nuclear power generation. CNNC became the controlling shareholder of CNNC INT’L (formerly known as "United Metals Holdings Limited") on 5th November, 2008. Following to the enlargement of its share capital on the same date and the top-up Placing and Subscription on 9th July, 2009, CNNCIntl is backed by strong cash flow for future development and investments. On 29th June, 2009, CNNCIntl Group acquired 69.5% equity of Western Prospector Group Ltd. (“Western Prospector”) which was then listed in Canada. Upon approval of the privatization proposal by the shareholders of Western Prospector at its special shareholders’ meeting held on 14th August 2009, Western Prospector became an indirect wholly-owned subsidiary of CNNC INT’L. Western Prospector is principally engaged in the acquisition, exploration and development of mineral properties. All of Western Prospector’s mineral property interests, consisting of various uranium and coal property projects, are located in Mongolia. On 25th March, 2010, CNNC INT’L was successful in its acquisition of 37.2% equity interests in Société des Mines d’Azelik S.A. (“SOMINA”) from CNNC Overseas. SOMINA, a company incorporated in Niger, Africa with limited liability, is the registered holder of a mining license for a uranium ore mine located in the Agadez region of the Tchirozerine department of Niger. The acquisition enhanced the basis of uranium resources development of CNNCIntl Group and the prospect is very promising. Facing the rich uranium reserve in the overseas market, CNNCIntl Group will become a renowned uranium resources supplier. With the backing of the vast PRC market, CNNCIntl Group will take advantage of the background of CNNC, grasping the economic and nuclear power development opportunities in the PRC, implementing overseas uranium mines development policy and constructing several uranium mines with over thousand tonnes of proven reserves and mining life over 15 years in the economical areas. As the first company engaged in the uranium leveraging business in the Hong Kong Stock Exchange, CNNC INT’L will raise funds in the financial market to support its overseas uranium resources development. CNNC INT’L expects to deliver sound operating results to reward shareholders for their support.